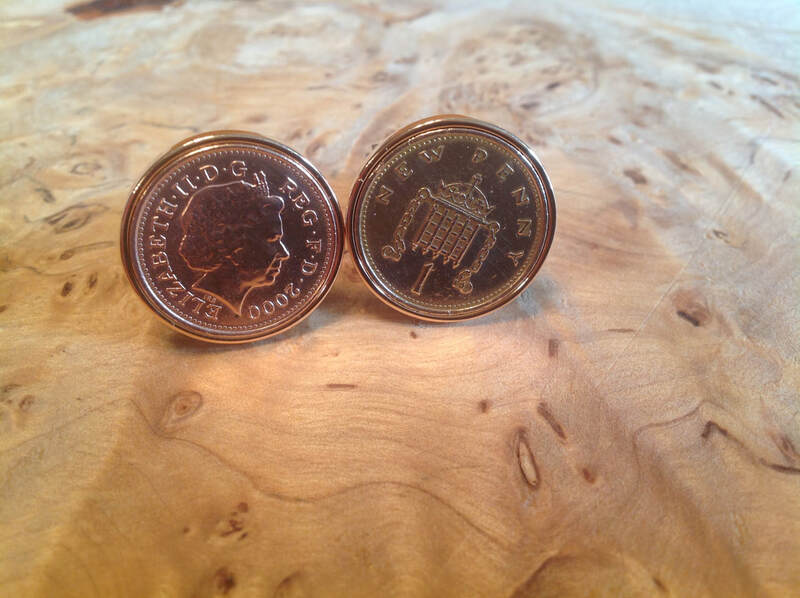 Just like our coin rings, all coins for use in our cufflinks are subject to availability. Dates available in farthings range from Victorian times up until 1956. Date availability for sixpences ranges from 1911 to 1967. 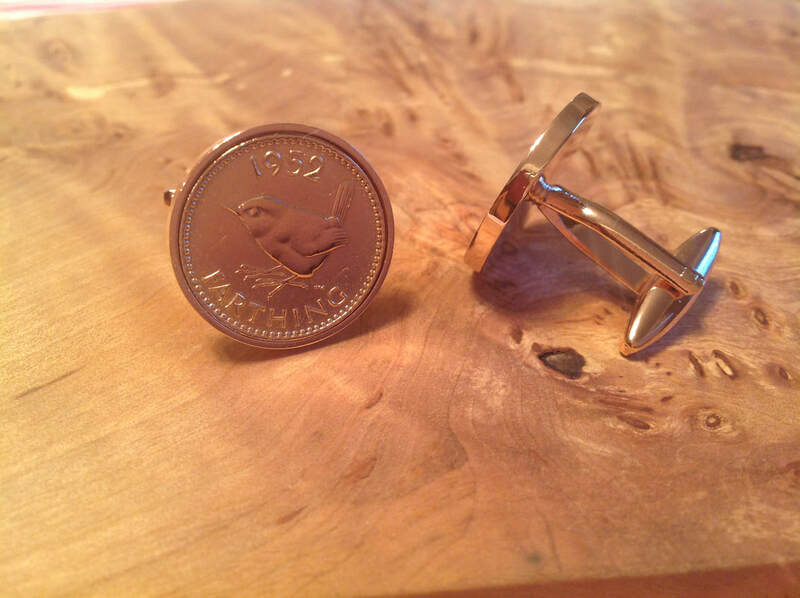 We can also make coin cufflinks from threepences, shillings, US dimes and US quarters. Cufflink back fastenings are made of stainless steel or rose gold stainless steel.. 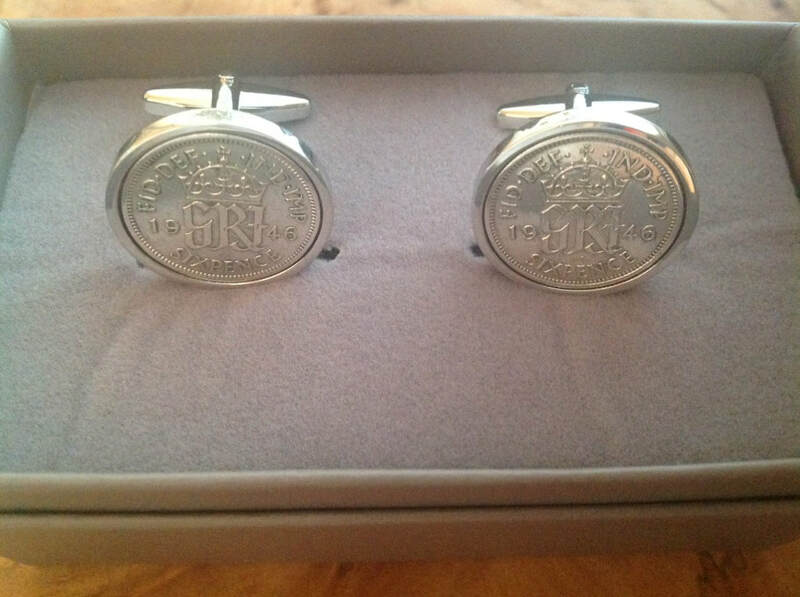 Coin cufflinks are £18.00 each and are presented in an attractive grey gift box. Please contact us for more details on your specific coin requirements. 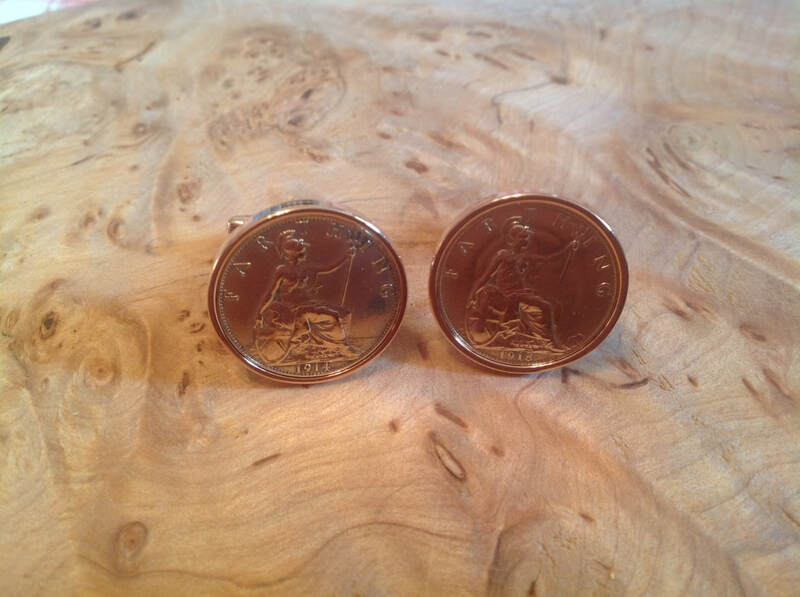 The Britannia farthing features the female figure of Britannia, adding historical charm to each pair of cufflinks. Farthings dated from 1937 to 1956 feature the wren on the tail side, a beautiful and charming British bird. Sixpences have an enduring appeal and are associated with bringing good luck. Modern pennies are presented with the head of the coin on one cufflink and the tail on the other. 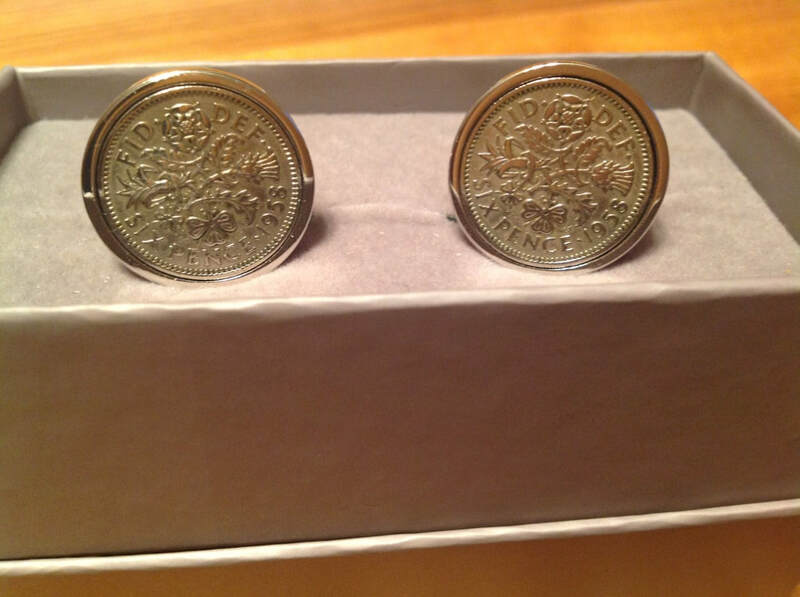 These cufflinks range in dates from 1971 to the present year (dependent on coin availability).